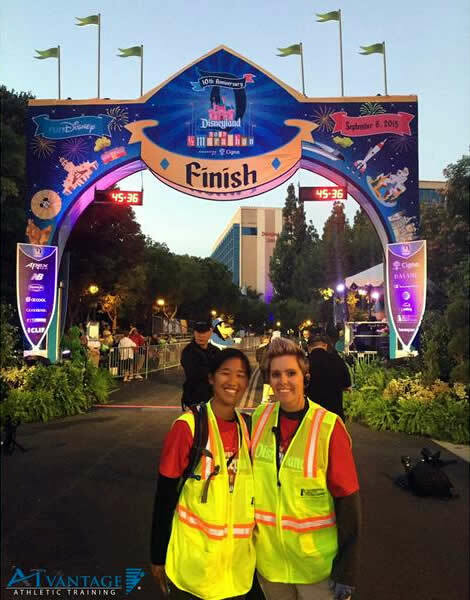 Anaheim based ATvantage Athletic Training assisted in providing athletic trainers for the 10th anniversary Disneyland Half Marathon taking place over Labor Day weekend, September 5-7, 2015. Care is provided for thousands of runners, with athletic trainers placed in course tents, at the finish line, and in the self serve treatment areas. ATvantage helps staff these races, which occur four times per year. For more information, visit www.theATvantage.com.